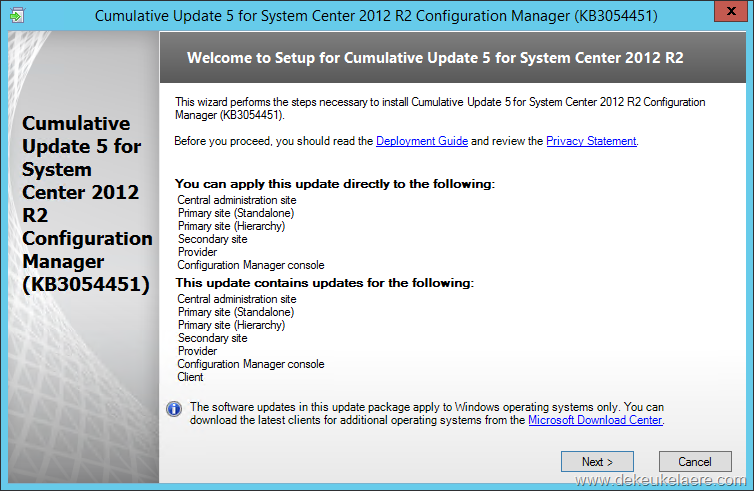 As mentioned during one of my previous blog posts Microsoft has recently released Cumulative Update 5 for Configuration Manager 2012 R2. 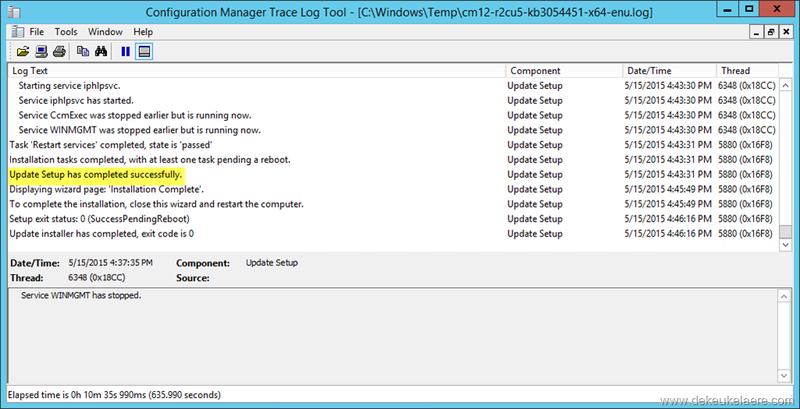 This blog post will outline how to implement this Cumulative Update and is based on the steps I followed during the implementation in my lab environment. 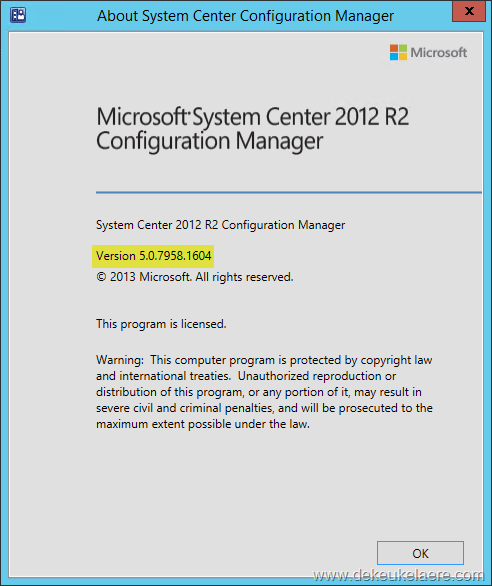 Note: this week Microsoft has also released Service Pack 1 for Configuration Manager 2012 R2. The logical question pops up whether to still install this Cumulative Update or immediately go for the Service Pack. Technically there are no constraints for implementing the Service Pack straight away (the CU is not a prerequisite) however my current preferred way to go is to implement the CU first. Based on experiences from the past there could always be some subtle differences, and it seems my friend Kenny already found one here as well. Now back to implementing the CU. First step is to get the sources. 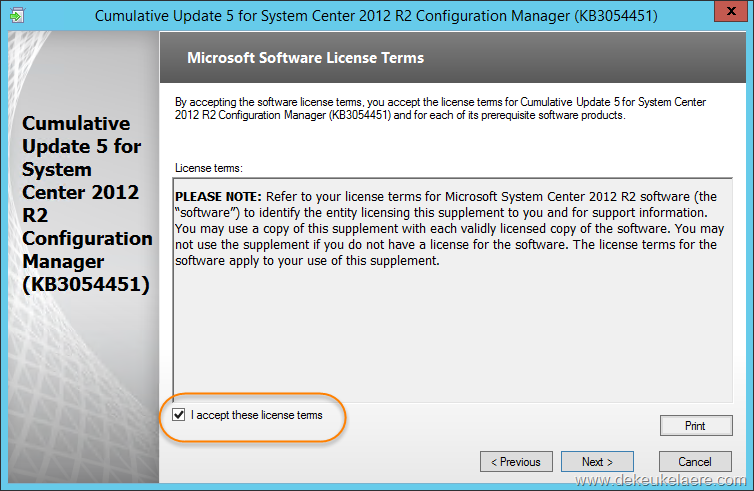 The KB article also gives a full overview of the fixes and improvements in this update. As the name indicates, this update also contains all elements fixed or added in one of the previously released CU’s. 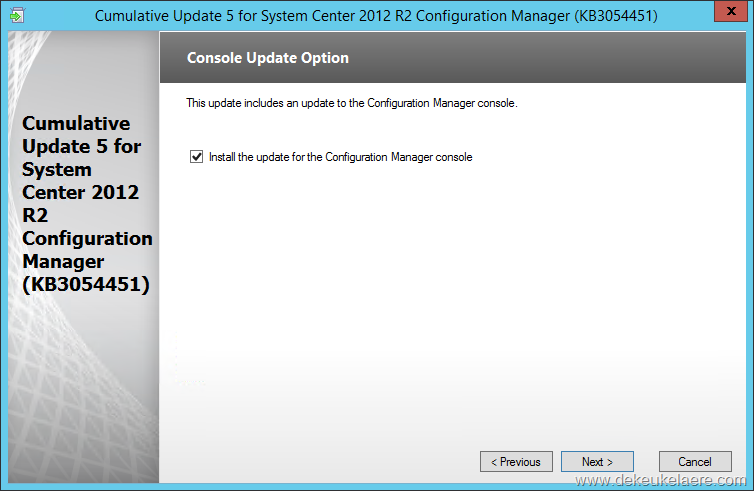 Note that this update is only applicable to Configuration Manager 2012 R2 – if you are currently still running Configuration Manager 2012 SP1 the latest available cumulative update is CU5. The lab we are upgrading does not contain all the components listed above, a CAS and Secondary Site(s) are not present. 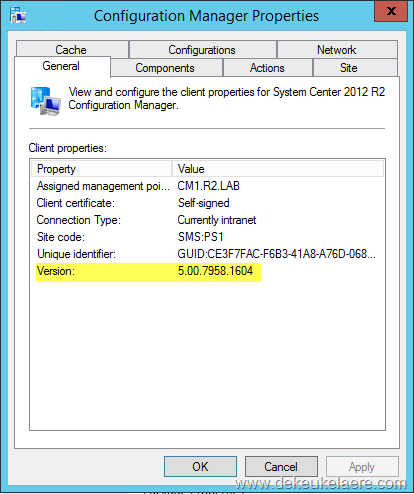 The SMS Provider is installed locally on the site server. 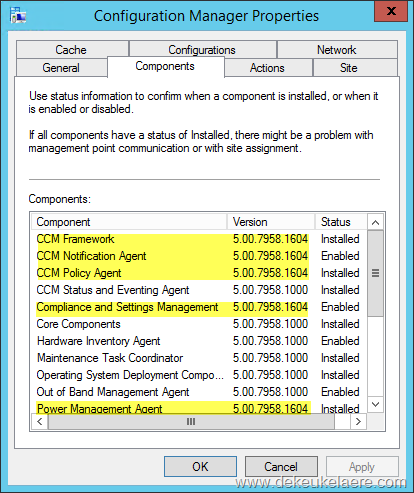 Cumulative Updates for Configuration Manager are implemented top-down so we start with the site server of the standalone primary site. 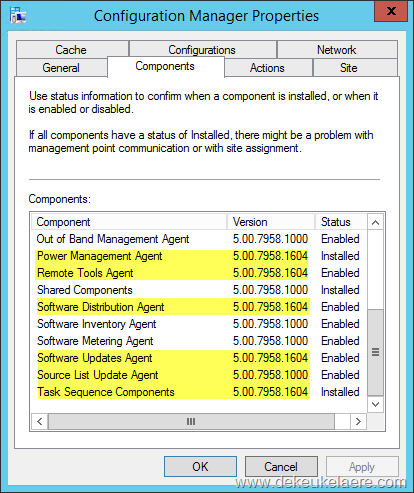 Before running the installer with elevated privileges ensure there are no more active console connections. The Installation Wizard is started. Click next on the Welcome page. Verify all prerequisite checks are successful and click Next. Leave the default option to install the update for the console and click Next. Leave the default option to update the site database and click Next. Leave the default option for package creation and click Next. Leave the default settings for the server package and click Next. Leave the default settings for the console package and click Next. Leave the default settings for the client packages and click Next. 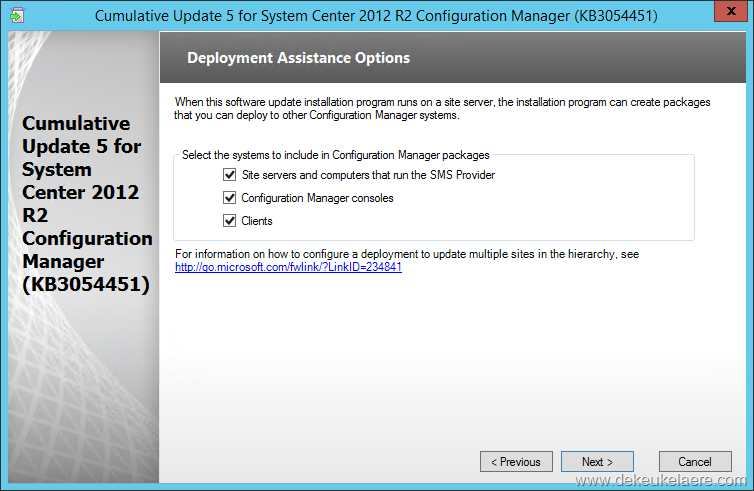 Review the setup summary and click Install. The installation begins and progress is shown. Click Next when finished. Note: during the implementation I had noticed that the installer was hanging long time on the first step to stop the services. In this case manually stopping the WinMgmt service (net stop winmgmt from an elevated command prompt) was needed to make the installation continue. All done! Click Finish and reboot the system. The technical details about the installation and what is happening behind the scenes is logged the log file cm12-r2cu5-kb3054451-x64-enu.log located in the %windir%\temp folder. Now lets do a few verification steps to see if the update got implemented properly. As we opted to have some packages created to support implementing the CU in our environment these should now also be visible in the console. Go to the software library and select packages. 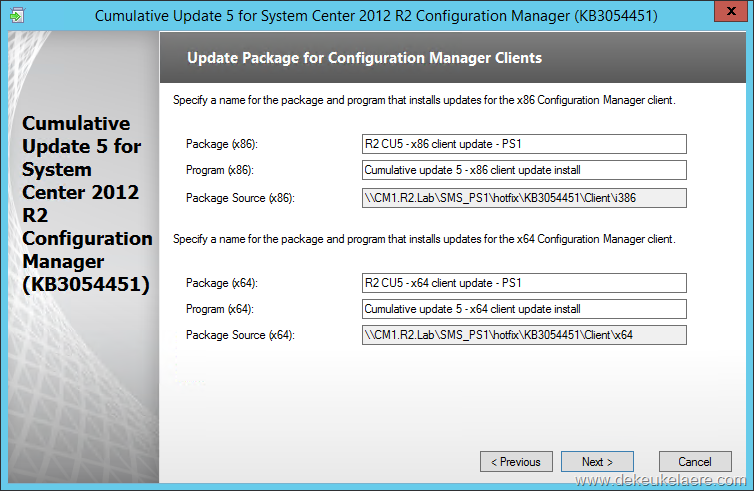 Select the Configuration Manager Updates folder and then type CU5 in the search box to quickly locate those packages. Important: Do not forget to distribute the content of these packages to your Distribution Points! Important (2): Do not forget to update your boot images. This can be done by selecting a boot image, right-clicking it and then selecting the action to Update Distribution Points. 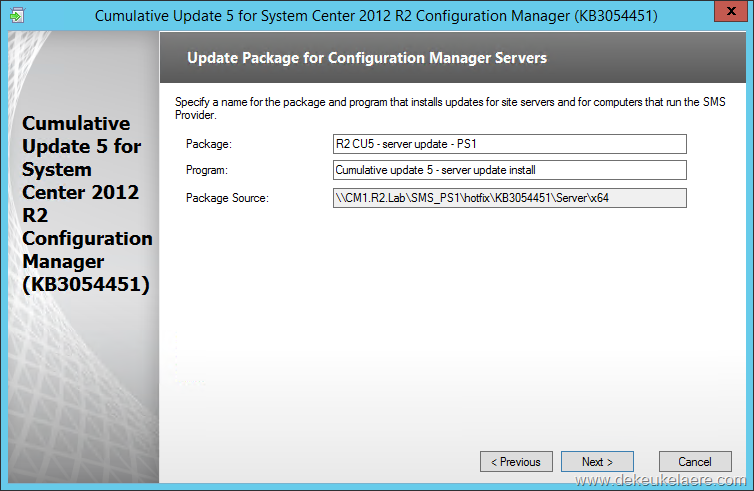 As part of the implementation process on the site server the locally installed console was updated. 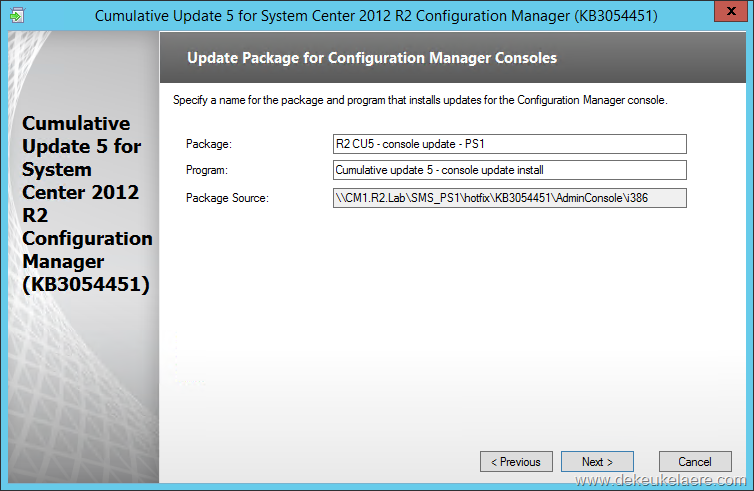 Any remaining remote consoles in the environment can be updated using the console upgrade package. Last but not least we also need to get the CU installed on our clients. There are multiple approaches to accomplish this; one method could be to deploy the client update packages created automatically during the implementation process. SMS_R_SYSTEM.Client from SMS_R_System inner join SMS_G_System_SYSTEM on SMS_G_System_SYSTEM.ResourceID = SMS_R_System.ResourceId where SMS_R_System.ClientVersion != "5.00.7958.1601" and SMS_G_System_SYSTEM.SystemType = "X64-based PC"
That’s all for now – Until next time! 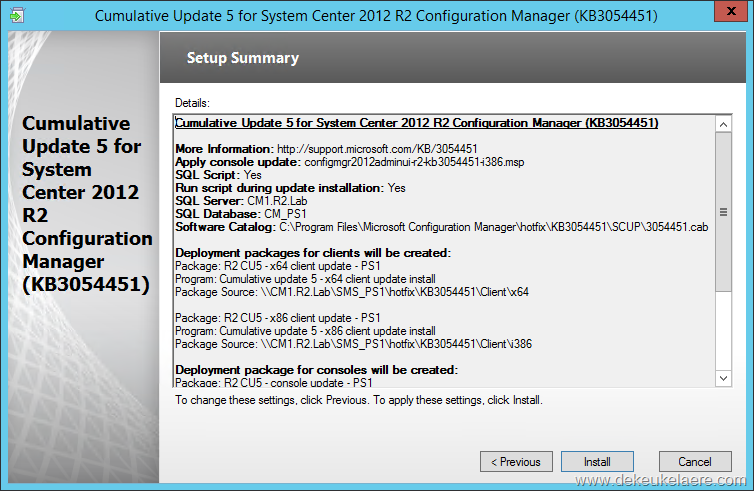 ITPROCeed 2015 Speaker System Center 2012 R2 Configuration Manager SP1 and System Center 2012 Configuration Manager SP2 released!